Chicago police Officer Gino Garcia is intimately familiar with domestic violence. His mother was killed by her boyfriend when he was just 6 years old. Since joining the force in 2016, Garcia has worked to raise awareness of domestic violence by sharing his story and supporting the local domestic violence shelter. His efforts caught the attention of U.S. Rep. Dan Lipinski (D-IL 3rd District), and they’ll get a national spotlight next week when he attends the State of the Union as Lipinski’s guest. 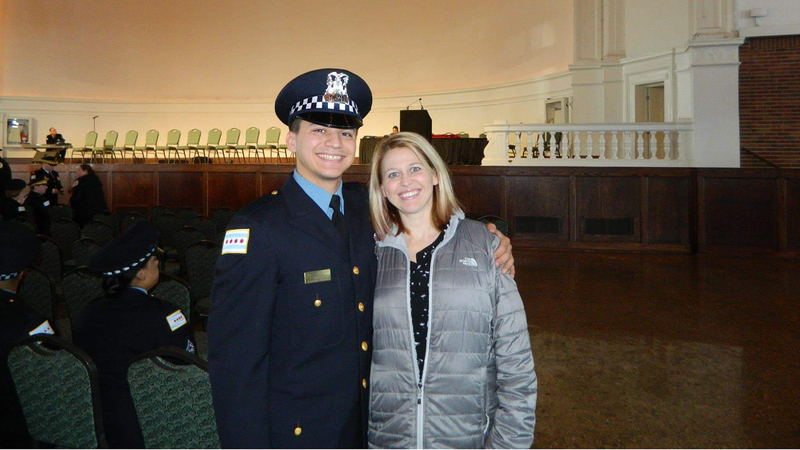 Garcia followed in his mother’s footsteps by becoming a police officer in the same Southwest Side district in which she once worked. “It gives me a sense in her eyes to see what she dealt with on a daily basis working in the same neighborhood,” Garcia told WTTW in December. Both Garcia and Lipinski see the State of the Union as an opportunity to highlight the issue – and people working to address it. Garcia says he’s excited to spread awareness about WINGS, a domestic violence service that offers emergency shelter, transitional housing, financial education and job training, among other things. Garcia said he also hopes this opportunity will spur connections between WINGS and other organizations that address domestic violence.